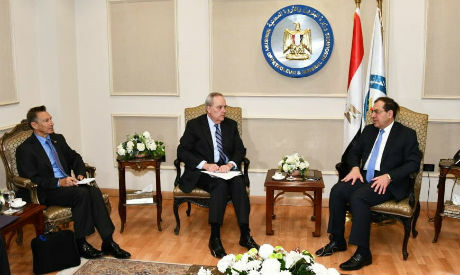 Egypt's Minister of Petroleum Tarek El Molla discussed with US Charge d’Affaires in Cairo Thomas H. Goldberger prospects of bilateral cooperation in the coming period, in line with Egypt’s plan to become a regional hub for gas and petroleum. The meeting saw discussions of the activities of US firms working in Egypt in the fields of petroleum and gas exploration, engineering designs and constructions, among other topics, the petroleum ministry said in a statement on Friday. The two sides also discussed new petroleum projects being carried out in Egypt in the fields of refining and petrochemicals, in addition to investment opportunities available for US companies to take part in such projects.